When Kristina invited me to write the introduction to this issue, I jumped at the chance for a couple of reasons. First, I am honored to have been re-elected President of IHS, and hope to earn the trust that the Advisory Council has shown in selecting me for this office. The IHS continues to evolve, as evidenced by this newsletter and our improved website, and I congratulate the Advisory Councils of the past six years, led by Frank and Jeff, for all of this wonderful progress. I’ll try to keep us on this good path. As always, if you have any suggestions of things that the IHS can do to serve you better, please contact me directly at president@hornsociety.org. The second reason I am pleased to write here is because of the theme of this newsletter: the natural horn. The slate of articles and the guests compiled here includes perspectives from some of the best in the world. 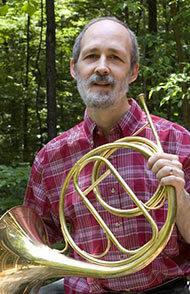 Meet Your Maker: noted natural horn craftsman Rick Seraphinoff. Whether you like the natural horn or not, I have no doubt you will enjoy the ideas and experiences shared in this issue of Horn and More! 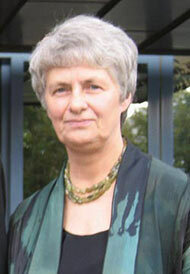 Kristina Mascher-Turner: What was it that sparked your fascination with the natural horn in the first place? Anneke Scott: I was first introduced to the instrument a few months before I did my music college undergrad auditions, so I was about 17 at the time. My teacher was honing his skills as an instrument repairer and had picked up some battered old piston horns and turned them into natural horns. He lent me one as he thought it might interest me - I was immediately hooked. What initially appealed was the challenge. I had to work it out more or less on my own, and I remember the frustration of becoming a beginner once more on pieces I thought I knew. 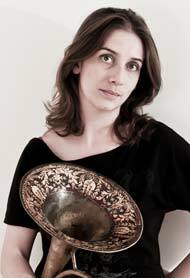 When I went to music college (Royal Academy of Music, London) I started to meet other brass students who were getting interested in period instruments; plus we had John Wallace as head of department who did much to encourage us. The period instrument scene is very active in London, so all this made me want to focus on this aspect of playing in my career. KMT: You studied the hand horn in three countries: the UK, France, and the Netherlands. Can you tell us something about the different traditions and approaches to the instrument you encountered in each one? AS: I think there was definitely a different approach to teaching in the three institutions, and, though I'm not sure whether these approaches reflect a wider national tradition, I suspect my memories are also strongly influenced by the stages I was at in different places. The RAM had a rather gung-ho approach to period instruments. 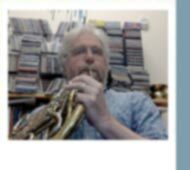 We were all encouraged to learn "auxiliary" instruments (period instruments such as natural trumpet, natural horn, sackbut, cornetto, serpent, ophicleide, or the additional modern instruments such as piccolo trumpet, flugelhorn, Wagner tuba, euphonium etc.) For a lot of people a basic idea of these instruments was sufficient, which in a way made it easy to feel that one was an expert while in essence still a beginner. One thing that I feel was incredibly important from my time studying at the RAM was that I was never told anything was difficult. I do remember, on having said yes to a student Bach cantata gig, my natural horn teacher (Andrew Clark) carefully saying I might like to take a closer look before saying yes in future (the cantata in question was screamingly high.) But it's something I certainly appreciate from Andrew’s teaching - he never said anything was difficult, and therefore I never developed a complex about what I was doing. Everything was approachable. When I started playing the natural horn in 1970, musicians who played original instruments were extremely rare. In Vienna in the late 1950’s, Nikolaus Harnoncourt founded his group called “Concentus Musicus Wien.” They started with only strings, and he conducted the group from his cello chair. Harnoncourt had close contact with some Dutch musicians – Gustav Leonhardt, Frans Brüggen, and Anner Bijlsma. Frans Brüggen and Anner Bijlsma were teaching at the Koninklijk Conservatorium in The Hague, where I studied. 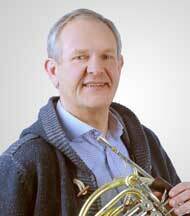 Together with Frans Vester, the flute player of the famous Danzi Woodwind Quintet, they inspired me to start playing on the natural horn. At the same time, I won a Dutch prize (“Prix d’Excellence”) that gave me the opportunity to make several recordings for Dutch radio. I was so inspired by the idea of playing natural horn that I proposed, after recording the Schumann Adagio and Allegro and the Dukas Villanelle, to play the Beethoven Sonata on natural horn next time. The only problem was that I had no instrument. Just in time before the recording, I received my Meinl and Lauber copy. It was a copy of a Huschauer, a Baroque instrument with a rather large bell. My colleagues in the Residentie Orchestra (my first full-time position) started laughing when they saw me with that natural horn. Everyone thought it was just a nice attempt that would end soon. You haven’t lived until you’ve experienced a Parforce horn troupe up close! This ensemble from St. Hubert, Belgium, performing the Messe de St. Hubert, keeps alive a centuries-old tradition. Be sure to turn up the volume for the full effect of the natural horn’s boisterous cousin. I believe in music as a wonderful human art form with great impact for a better life. I do also believe strongly in the importance of the best possible teaching for all pupils and students. What, then, characterises good teaching, as the students experience it, and as results arise? How can each and every one of us improve our teaching skills? Maybe we could open up between our studios to a larger degree, and exchange our ideas and philosophies and tricks of the trade - not only between horn players, but also including teachers of other instruments, when relevant? While waiting for this to happen, I am happy to share some of my own thoughts on teaching here. These points were originally notes for a lecture. Teaching, in my experience, is about sharing information, encouraging, inspiring, helping, and trusting the potential. To me, teaching feels like a pleasant obligation, a sort of “payback” to my own teachers. In earlier years I mostly trusted my instincts, but nowadays I am more conscious about what to do - or not to do - in the various teaching situations. Experience can help, if we reflect upon it. But when Jeff Nelsen and Kristina Mascher-Turner asked me to write this, they were specifically interested in the instrument maker side of me, sometimes known as my second full-time job. I started making reproductions of historical horns because I needed appropriate horns when I began seriously playing with period instrument groups in the 1970s. At that point the choices were either expensive antique horns or a few rather modern valveless horns that were being made. But fortunately I came from a family that made things. My father made airplanes as a hobby, - real airplanes in which we flew, and I grew up thinking that if you needed something, you just had to learn out how it was made, get the right materials and tools, and then go ahead and make it. A user recently posted the 3000th ad in the IHS Online Free Classifieds, which are celebrating their fifth birthday this month. If you are interested in buying, selling, or just window shopping horns, accessories and horn music, check them out! This last item, my concept of the aesthetic of the pieces that include the instrument, is the one that has been on my mind recently, especially after hearing a range of live and recorded performances that provoke a question: when composers wrote notes that require some sort of hand-stopping, what should those notes sound like? The approach to stopped timbres has two obvious extremes, both of which we hear in public and on recordings. One is to bring the volume of the stopped notes up to that of the open notes in a passage, most frequently creating a raspy timbre like a “modern” stopped sound. The second is to do the opposite, to modify the volume of open notes that the timbre is more even and the changes are subtler. The 18th- and 19th-century methods that comment on timbre generally encourage the second way, yet many modern performers, for whatever reasons, seem to choose the first way. We are looking forward to seeing you at the 49th International Horn Symposium in Natal, Brazil, June 26-30, 2017.